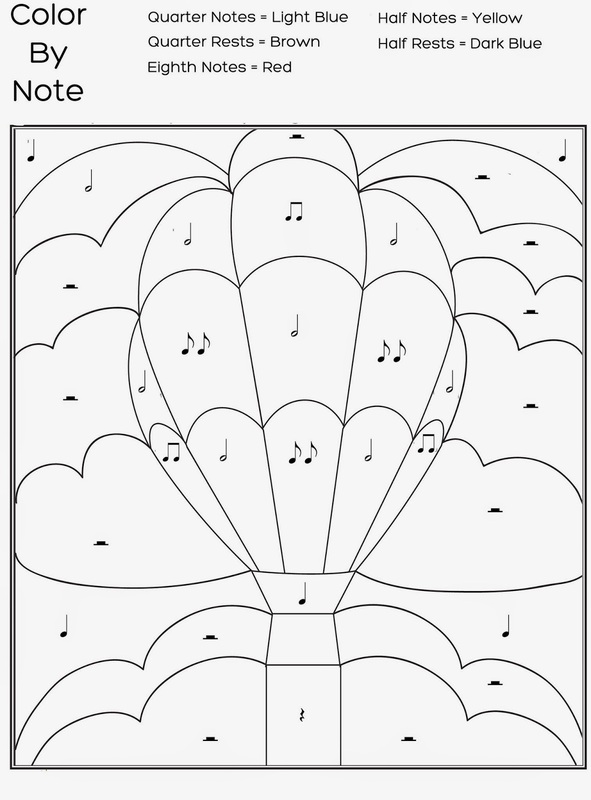 This is a simple worksheet that I have put in a sheet protector to make it reusable. Students practice drawing notes/rests using a dry erase marker. Another color by note. This includes quarter notes/rests, half notes/rests, and beamed/single eighth notes. You can download a copy of this color by note in the Freebies section of my blog. 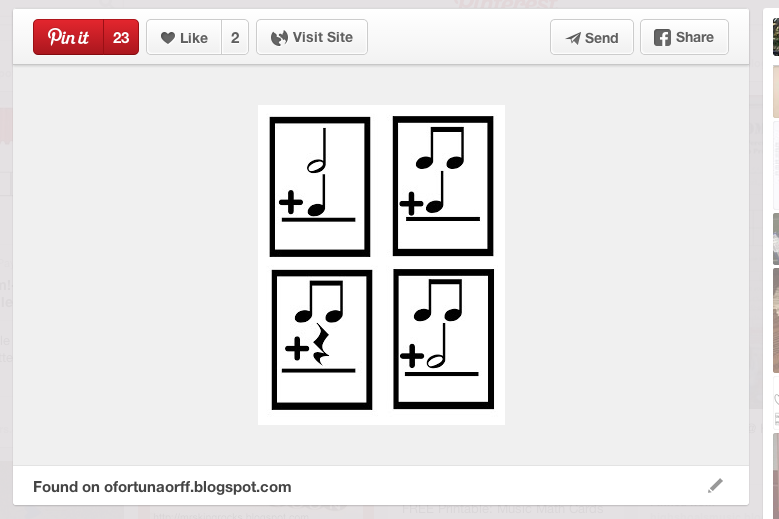 Another idea I found on O For Tuna, these music note math cards could be used in small groups, centers or full class activities. I wrote about this game earlier this year. You can find out how to play here! Another great post on planning for a sub! I hope you don't mind but I posted a link to this blog entry over on my blog, "Music Sub Lessons." Thanks for all your excellent ideas and freebies!! You are the best! !